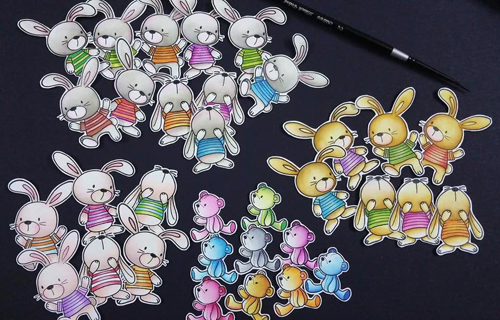 The woodland creatures in Forest Friends are so fun to color! Natalia's simply stamped backgrounds let them shine. Sticking with a basic design and switching up your images and sentiments is a great way to create a stack of charming cards in not time at all. Monster-sized wishes headed your way! 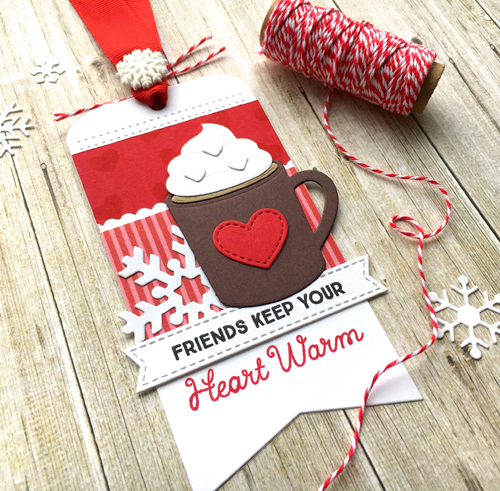 Niki's adorable trio created with Monster Love features two-toned coloring and coordinating tags. That strip of graphic stripes is a fun way to complete the look. It seems like just yesterday that we talked about using sentiment Die-namics to create shaker cards? Oh yeah, it was! How serendipitous to discover this delightful look from Jennifer. 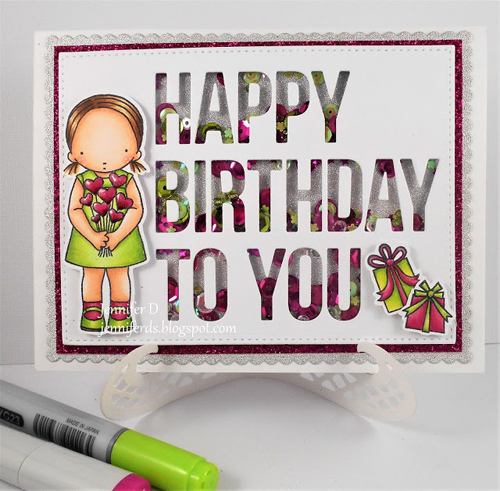 The Happy Birthday to You Die-namics is the perfect choice for shaker cards. It's not a finished project but it is a big pile of awesome Snuggle Bunnies potential. It's NEVER a bad time to craft with kids and that's exactly what Rajni has done. It seems that coloring talent runs in the family - one pile for Rajni and one for her daughter. We can't wait to see what happens next with these snuggly friends! Thanks for using MFT, ladies! You've left us inspired, and that's what it's all about! See you tomorrow for another great Sketch Challenge, and look for the next MFT Color Challenge on Thursday, February 9th. Thank you so much for spotting my card! You made my day! Sitting and smiling :)) Niki, congrats, girl! Love these monsters! Really amazing cards and wonderful inspiration. 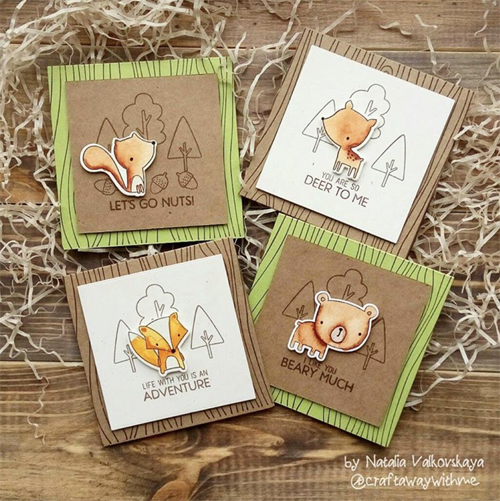 Thanks for sharing your cards/designs with us.